TORONTO, Nov. 14, 2018 /PRNewswire/ — International Medical Solutions (“IMS”) today announced it will provide Google Cloud account users with the ability to upload, manage, distribute, view, annotate, save, download and delete their medical images in a secure environment. Similar to Google Drive, the IMS Cloud View™ will connect directly to any Google Cloud account and enable users to access full fidelity medical images with no installation required. 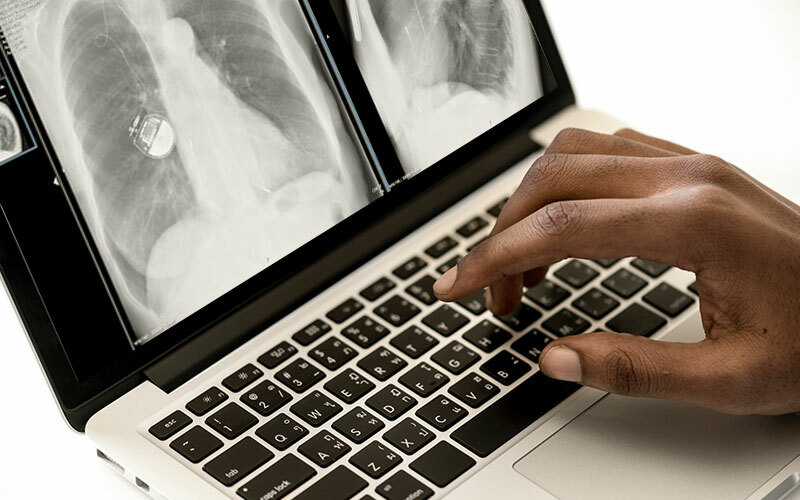 The underlying FDA cleared imaging technology also allows medical professionals to engage in interactive, web-based reviews, on any device using full fidelity DICOM images. “Our clients tell us that they like IMS Cloud View™ because our technology is the missing piece that completes the viewer value chain. It is simple to use, reliable in all types of network conditions, and gives them the freedom and flexibility to read, assess, mark-up and save, import, share, and send secure links from any device, anytime, anywhere. They maintain ownership of their data in Google Cloud and we store it in a DICOM compliant, non-proprietary way,” says Vittorio Accomazzi, CTO of International Medical Solutions. As a key partner to several healthcare providers, including the American Society of Emergency Radiology, IMS is committed to ensuring exceptional care is being delivered to patients by offering the IMS Web Viewer™. The technology provides the secure distribution of full fidelity medical images and gives real-time access to multiple clinicians at the same time. “In our experience, educators, hospital administrators, and physicians are laser focused on using a reliable, secure, and flexible solution that gives them the ability to reduce costs, scale quickly, and provide an accurate diagnosis for their patients. We believe IMS Cloud View™ and Google Cloud Platform will revolutionize the medical imaging industry,” adds Accomazzi. IMS will continue to build on the leading-edge capabilities it offers on Google Cloud Platform. Looking ahead, the company plans to optimize the global reach of Google Cloud Platform and expand its current serverless viewing technology in parallel with its artificial intelligence and machine learning initiatives. IMS will provide a full functioning demonstration of its IMS Cloud View™ inside the Google Cloud booth at RSNA. Feel free to visit Booth #7161 for more information. International Medical Solutions (“IMS”) designs and implements custom, scalable, medical imaging solutions for multi-national modality OEMs, EMR companies, and cloud-based radiology organizations. Founded in 2012, IMS’ innovation team has more than 90 years of collective experience developing secure, low bandwidth, image distribution platforms with deep learning and artificial intelligence, providing its partners with the latest imaging solutions in the marketplace.